Gennady Golovkin has waited years for a career-defining superfight. On Sept. 16 against Canelo Alvarez, he finally gets one. 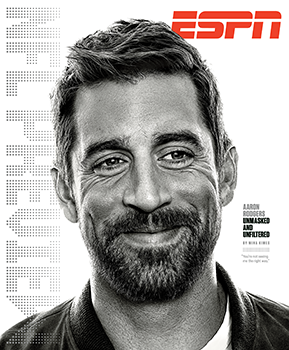 This story appears in ESPN The Magazine's Sept. 18 NFL Preview Issue. Subscribe today! It is, conservatively speaking, about 9 million degrees inside Abel Sanchez's boxing gym in Big Bear Lake, California, and still his prized fighter, world middleweight champion Gennady Golovkin, is in the ring doing chin pushups -- wearing a hooded sweatshirt and sweatpants. Yes, chin pushups. Arms behind his back, his chin rests on a towel, bearing the full weight of his 170-pound frame. He dips within inches of the canvas and rises back up. At the end of the set, he turns on his back, wraps the towel around his head and face, loops a rope with a weight attached to the end of it around his neck and does a set of what can only be described as blind, hanging, weighted neck crunches. Golovkin conditions each part of his sinewy frame like this, in rigorous isolation drills. The chin must withstand pain. The neck must be strong enough to absorb punches. To give him strength to fight inside, he works his forearms -- which he often has trouble fitting in the sleeves of a normal dress shirt -- with resistance bands and a homemade contraption of steel and rope pulleys that his trainer affectionately calls "the machine." Decades of such rigorous training have seen Golovkin establish himself as one of the best fighters of his generation. He has defended his middleweight title 18 times over the past seven years, putting him within range of Bernard Hopkins' record of 20 defenses in his division. So it's not surprising that he's had trouble persuading boxing's biggest names to get into the ring with him. "I understand," Golovkin says. "It's too dangerous. Sometimes it doesn't matter how much money [you offer]; people don't want to lose reputation." This happens far too often in boxing -- the best fighters simply don't fight one another. It's why Golovkin's Sept. 16 showdown with Mexican superstar Canelo Alvarez is being billed as the superfight that actually will live up to the hype, after Alvarez's dud against Julio Cesar Chavez Jr. in May, Floyd Mayweather's bore against Manny Pacquiao in 2015 and whatever the hell you want to call the Aug. 26 fight between Mayweather and Conor McGregor. But for Golovkin, the showdown with Alvarez is something far simpler than a bout to save boxing: It's the fight he's waited his entire life for. Finally, the stage matches his skill and reputation. Finally, a top-flight opponent is willing to risk something of real consequence to fight him. Finally, a fight feels fair and important, even historic. "He never really believed that he was going to get to where he's at right now because everybody screwed him along the way," Sanchez says. When Golovkin lost a controversial decision to Russia's Gaydarbek Gaydarbekov in the gold medal fight of the 2004 Olympics, his disillusionment nearly drove him into early retirement. When Europe's top fighters refused to get into the ring, afraid a no-name boxer would beat them, he worried he might spend his best years in purgatory. In 2010, he left for the United States at the relatively old age of 28, looking for a trainer who could help him get his shot. Sanchez remembers fondly the call that sealed a seven-year relationship with his fighter. A man claiming to be Golovkin's manager called from an unknown number and said Golovkin was arriving at Los Angeles International Airport from Kazakhstan the next day -- could Sanchez pick him up? "Aeroflot at 2 p.m.," Sanchez says, smiling at the memory. "Then he comes up the tunnel with one little bag." One bag? For two months of training in the United States? "I came to train," he says. "Not to party." Seven years later, he hasn't brought much more to Sanchez's gym. And perhaps even more than before, he knows exactly what is at stake. "Boxing is serious. It's not a game," he says. "Just one punch -- change life." Inside Sanchez's two-story compound, the latest Andre Ward-Sergey Kovalev fight is playing on the big-screen TV near the ring. The TVs in Sanchez's gym are always replaying classic fights. It's an atmosphere thing, like hanging photos of the champions who have trained here, or cranking the thermostat up to 90 degrees so sweat streams out of every pore of every living soul inside. Gennady is working out alongside his twin brother, Max, on an adjacent training table. Both steal glances at the TV each time they come to the top of a situp. The brothers almost move in tandem through their sets of core exercises. At one point, Max motions for Gennady to lie down, face-first, in the ring, then massages his neck and back. Max, who trains with his brother before almost every fight, flying to California from Kazakhstan, is the only member of Golovkin's family invited to be a part of his boxing. Their mother, Elizaveta, has not attended any of Gennady's nearly 400 amateur and professional fights. His father, Gennady Sr., was allowed to attend just one of Golovkin's fights before he died in 2014. Gennady's wife, Alina, and their 8-year-old son, Vadim, do not come to his fights. "Too much emotion, too much stress," Golovkin says. "I'm like a genie for my son. If he saw a crazy fight ... not good [for him] now. He is living in Santa Monica. He love hockey, he love tennis. Nice food, ocean. He is different from me." There is a divide between the man Gennady Gennadyevich Golovkin and the boxer GGG, one that has nothing to do with the number of syllables. Gennady is a polite family man who rushes home from camp to be with his family or happily interrupts his dinner a dozen times to take pictures with fans at a restaurant. GGG is a relentless fighter whose sparring partners are required to wear vests to protect them from fists that land like cannonballs. Gennady plays against every Ivan Drago trope with a rosy-cheeked charm and a penchant for coming up with endearing witticisms on boxing -- a "big drama show" and "very serious business." GGG is a ruthless, high-pressure knockout artist who attacks like a swarm of bees and cuts off every exit route. Gennady can't even make it through a postfight interview without smiling or politely congratulating his opponent. GGG just knocks people out. Head shots to the temple, body shots to the liver, uppercuts that crunch jawbones and teeth. The method is never exactly the same but is always ruthless. Almost all of GGG's fights -- 33 of his 37 professional bouts -- have ended with a knockout. The shift between the two is sudden and silent but noticeable. Sanchez sees it as he wraps the boxer's hands before fights. They don't talk, nor do they need to. "I can see the transformation," Sanchez says. "I can see he's already concentrating." There's a part of Golovkin that wants to explain where GGG came from. The tragedy at the core of his family's story. The dangerous land he called home. The insults and professional injustices he's had to swallow. His English is strong enough now that he can converse without an interpreter. But there are some things language cannot describe, no matter how many words he learns. "I'm a boxer, I'm a boxer," he says. "If you're interested, just watch my boxing, not my life." Golovkin was born in Kazakhstan in 1982, nine years before the Soviet Union collapsed. It had always been a contested region of the world, dating back to the times of warring nomadic cultures such as the Huns and Mongols. The Soviets built their nuclear testing program in Kazakhstan and used the vast territory as one of the Soviet Union's main forced relocation sites, along with Siberia. Members of both sides of Golovkin's family were forcibly relocated -- a Korean relative on his mother's side and a Russian relative on his father's -- during one of the many deportations of the 20th century. After the Soviet Union fell in December 1991, what little social structure held the country together under communism completely unraveled. The corrupt bureaucrats who were forced out in riots all over Central Asia left a huge power vacuum for organized crime and militaristic strongmen to fill. That, along with economic uncertainty, heightened existing tensions among all the ethnicities that had been forced to live in the harsh climate. "These times [were] terrible and very ugly, very dangerous for some people," Golovkin says. "Everybody has problems. There are, like, no jobs." He tries to explain what it's like to come from a place where you had to defend yourself and your place in the world every day. "If you want to have nice shoes ... fight," Golovkin says. "Nice jeans, fight. Nice cap, fight." Gennady and Max had one key advantage, however. "We stayed together," Gennady says. Max says their two older brothers, Vadim and Sergey, taught them how to fight and stand up for themselves. "Just protect yourself," Max says through an interpreter. "Never fight first. Just protect yourself." Fainaru-Wada and Baumgart: "Who does this to people?" One day Gennady and Max got into a fight at a soccer game with a bunch of older kids. A boxing coach took note of how well the young boys fought and suggested they try boxing. Max was the skilled, polished fighter among the twins. Gennady was the brawler. "Fighter," Golovkin says, pointing to Max. "Street fighter," he says, pointing to himself. The brothers became the best fighters in their town of Karaganda and were often the last ones standing at the end of tournaments. Rather than fight each other, they took turns forfeiting so they'd each have titles. The brothers have a hundred stories of their fights and their suffering, each one layered on top of the others like Russian nesting dolls. In 1990, their eldest brother, Vadim, was killed while serving in the army. In 1994, Sergey died the same way. In both cases, no official explanation was provided. A government official simply called the house to say they were dead. Those losses -- and the questions that came with them -- still haunt the family. "I lose my brothers," Gennady says. "[It] was a very bad situation. ... I'm young, and this is my story. This is my family." Their only choice was to lean on each other. Gennady says Max was the better, stronger fighter and easily could have had a professional career of his own. But in 2004, only one of them could make the Kazakhstan Olympic team. Despite Max's superior strength and skill, Gennady was chosen because he was the older of the twins. For Gennady, the Olympics were a chance to fight his way out of Kazakhstan. After his gold medal loss, he spent six months at home deciding whether to continue. But how could he give up after Max had sacrificed his career for him? When Max was his biggest supporter and ally? 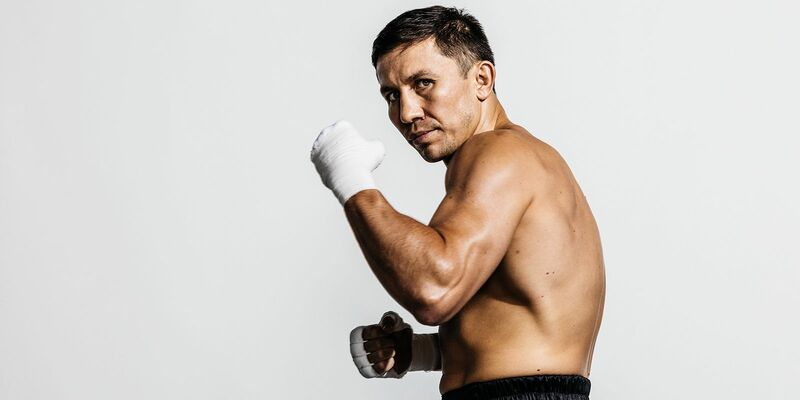 Eventually, he reconnected with some former training partners who had moved to Germany to train and compete professionally -- a common route for fighters from former Soviet republics, including the Klitschko brothers, Wladimir and Vitali. Golovkin fought professionally in Germany for more than three years, becoming one of the most feared fighters in Europe. But when it came time to match him against star contemporaries, there was always an excuse from his German promoters. Eventually, he realized he'd never accomplish his goals if he stayed in Europe. It was time to come to America -- and leave his family behind. IN APRIL 2010, Golovkin's new managers, Oleg and Max Hermann, reached out to American promoter Tom Loeffler, who had successfully choreographed the Klitschko brothers' crossover from Ukraine to Germany to America. Three meetings were set with American trainers: Sanchez, Freddie Roach and Robert Garcia. Accomplished as Golovkin was as an Olympian and then professionally in Germany, Sanchez had no idea who he was when he came to the Big Bear gym for that first meeting. "We had dinner, and that night I went home and looked at the internet," Sanchez says. "Like, 'Holy cow, that's who's in my gym? Three hundred fifty amateur fights, lost five. He's 16-0? He's No. 1 across the board.' Next morning we were having breakfast, I come back with a different attitude." By then, Golovkin too had decided he wanted to work with Sanchez. The spartan, uncomplicated atmosphere at Sanchez's gym appealed to him. "I can't have a regular life. I have to be 100 percent focused on boxing," he says. "Big Bear is special, maybe, for focus on boxing. Much more serious." But after that first meeting, a few months went by with no word from Golovkin's camp. Then, out of the blue, the call from an unknown number, asking whether Sanchez could pick up Golovkin at LAX. Sanchez was just getting back into the fight game at the time. Disillusioned with the sport's politics, he'd taken seven years off from training to run his construction company. In the interim, he offered up his gym to other trainers who wanted to bring in fighters to work in Big Bear's 6,700-foot altitude. Once Golovkin came to Sanchez's gym, everything came back to life. "My dad and I were up there training Eloy Perez at the time," says Sam Garcia, a trainer from Salinas, California. "And we saw this Russian kid sparring with Alfredo Angulo, and he was just handling him. Now, remember, Angulo was a Mexican Olympian himself. He was an up-and-coming guy too. "They called Angulo The Dog -- and he's going backwards? I told Abel, 'You could charge money at the door to watch this sparring.'" Within days, Garcia called Doug Fischer of The Ring, telling him that he'd seen a future middleweight champ and that he had to come check it out. "It was hard to believe because at the time Angulo was the guy pushing people out of the ring," Fischer says. Golovkin was 29 years old and still more than a year from fighting on HBO. But he'd recently beaten Milton Nunez in a WBA middleweight title fight in Panama and had set up a fight with former junior middleweight champ Kassim Ouma. At night, he'd study English with some of the other fighters in camp and practice on Rosetta Stone. During the day, he'd train and soak in this new culture and atmosphere. "I remember barbecuing tri-tip for him one weekend and he was like so grateful," Garcia says. "He'd be lying out on the grass, trying to get a suntan in his swim trunks." It was when he started training with Sanchez that Golovkin began to hone his high-pressure, swaggering style, something he and Sanchez have modeled after one of Mexico's all-time great fighters, Julio Cesar Chavez Sr. Sanchez and Golovkin watched Chavez's 1987 fight against Edwin Rosario hundreds of times, noting the way the Mexican legend jabbed and tapped at Rosario's head until it was a bloody mess. "I'd say to Gennady, 'When you do what he's doing, it's going to be totally different because you can punch,'" Sanchez says. Golovkin absorbed everything. The pressure. The face-first aggression. Bravado. Defense. The style fit his inherently aggressive street-fighting nature. He just needed to polish and refine his technique. In 2014, it all came together in a savage knockout of Daniel Geale at Madison Square Garden in New York, punctuated by a callout to the sport's most passionate fan base: "This my style, like Mexican style," Golovkin told HBO's Max Kellerman. After that fight, it became clear: Gennady Golovkin, this fighter from Kazakhstan, of all places, had become the Mexican style's most perfect, popular practitioner. And so it's fitting that the Guadalajara-born Canelo Alvarez was among the sparring partners Golovkin faced in 2011, during those first years in Big Bear. "I know Canelo before. He's a good guy. Good fighter," says Golovkin, who sparred with a then-20-year-old Alvarez two or three times. "He is young. He is fresh. He is hungry." At one point, Fischer took the trip to the gym to watch one of Alvarez's sessions. "I thought Golovkin got the better of him," Fischer says. "He was much more polished. ... But I was pleasantly surprised with Canelo. He had under 40 amateur fights. He was learning fight by fight. Even during the sparring sessions, I saw him kind of learning things." Watch: Alvarez-Golovkin a bigger money draw than Mayweather-Pacquiao? Garcia remembers it being far more lopsided. "Canelo was, like, fighting for his life in there, and GGG was only going 50 to 60 percent," Garcia says. "GGG has a hard time keeping sparring partners. ... He didn't want to drive [Canelo] out of the ring." Over the next five or six years, Alvarez continued to fight for big money -- Forbes estimated his annual salary at $28.5 million this year -- against the stars of the sport, while Golovkin racked up titles, knockouts -- and a list of fighters who kept finding reasons not to fight him. What's interesting is where those lists intersect: Miguel Cotto, Floyd Mayweather and Julio Cesar Chavez Jr. all fought Alvarez but not Golovkin. "A kind of mystique grew around the guy, and no one wanted to fight him," says HBO Sports executive vice president and boxing head Peter Nelson. "Just being able to go over six rounds with Gennady Golovkin became a badge of honor. "There began to be a club of fighters who all would say the same version of the catchphrase, which was: 'I'll fight Gennady Golovkin -- just not next.'" Now, finally, the two men who met in those sparring sessions will meet again. Their paths could hardly be more different. Alvarez was a superstar before he became a champion. Golovkin has been a champion for seven years but has yet to fight a superstar. Alvarez is the most accomplished active Mexican fighter in boxing. Golovkin just might be the best old-school Mexican-style fighter out there. "People who like boxing like my style," Golovkin says. Those who believe styles make fights think this one could be a classic. Golovkin always seems to be going forward, stalking his opponent throughout a fight. Alvarez is also an active fighter, known for his crisp, powerful counterpunches. Beyond style, what might make the fight is the pent-up anticipation and frustration Golovkin brings to it. You can hear it when he talks about Alvarez now. It's GGG talking, not Gennady. "For me, it's more interesting how he's changed," Golovkin says. "He's like a fake. He's like a trash[-talk] guy. Not original. Originally, he's like a warrior." Alvarez called Golovkin into the ring after his victory over Amir Khan in May 2016 and challenged him with the live HBO pay-per-view audience watching. "I invite him into the ring," Canelo said. "And like we say in Mexico, we don't f--- around, I don't fear anyone." But rather than take on Golovkin -- the mandatory challenger -- Alvarez instead vacated his WBC middleweight title and fought Liam Smith and Chavez Jr. Alvarez said at the time that he needed to fully grow into the 160-pound middleweight class and, in a statement, that he "will not be forced into the ring by artificial deadlines." Golovkin says he later saw his old sparring partner and called him out for misleading him and fight fans. "He was like, 'G, you know it's just business, it's Golden Boy,'" Golovkin says. "And I said, 'If you want to fight, let's do it. We'll fight.'" In May, a week before his bout with Chavez, Alvarez and his camp finally signed a deal with Golovkin and invited him to Las Vegas so the September superfight could be announced, WWE-style, during postfight interviews. Golovkin thinks Alvarez and Oscar De La Hoya's Golden Boy Promotions agreed to the match only after the now-35-year-old champ looked human in his last fight, a tough 12-round decision over Daniel Jacobs in March. "Last fight, I did not look beautiful, not amazing, so Golden Boy is ready," Golovkin says. Back in Big Bear, the sun is nearly down on another one of these training camp days Golovkin has lived out, over and over again. He'll be up in his room by 8:30 so he can call to check on his wife, who is pregnant with their second child. There are a few hours to watch TV before lights-out, then they'll wake up and do it all over again the next day, and every day, until the biggest fight of Golovkin's life. There are those who worry that it took too much time to schedule this bout, that Golovkin has shown signs of age in his past few fights and might be vulnerable. But Golovkin isn't hearing it. "I feel like 25," he says. "I feel good. Very strong." He has spent months at this camp, in this gym, preparing for a fight a lifetime in the making. The wait has been long and frustrating. But it's not about that anymore. It's time to fight. It's time for GGG. "I'm ready," he says. "I have been ready for years." Ramona ShelburneShelburne is a senior writer for ESPN. She spent seven years at the Los Angeles Daily News.